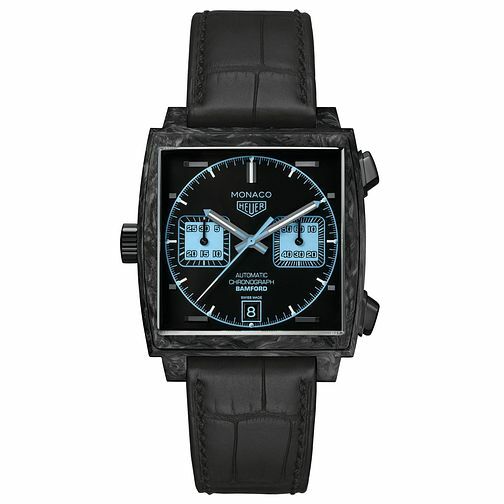 Limited to 500 pieces, the Bamford men's TAG Heuer timepiece features the Monaco signature square case, boasting a bold black dial complete with cleek aqua chronograph counters, A date aperture sits at the 6-o-clock position. This watch is complete with a black textured leather strap and PVD steel folding clasp, the first TAG collaboration with the Bamford Watch Department. This watch is water resistant up to 100 metres.